Simple But Needed has created robust, powerful tools that help organizations with landscape and agriculture management. Our solutions work on mobile devices, which users can carry out into the field and collect and document a variety of data. Our solutions eliminate pen and paper methods and improve efficiency and save time by capturing data electronically right in the field. 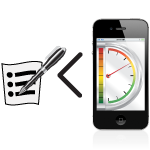 Our mobile landscape business management application is simple to use. 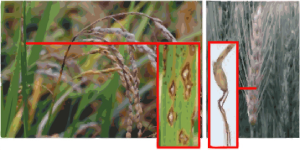 An organization can configure SBN’s application to identify important conditions or attributes associated with landscape management that require field verification. Then using a mobile device, a user can head out into the field, pull up inventory that needs to be verified, inspections that need to be completed or other conditions that need to be visually monitored and electronically document the action. The application can also remind the user when certain inspections or field verifications need to be completed, keep landscape management simple and on track. Our solution does not depend on WiFi connectivity. Data collected in the field will be automatically updated in the applicable database when a user returns to a location with WiFi. At that point, reports automatically generated by SBN’s landscape management software are created and can be sent to key stakeholders. 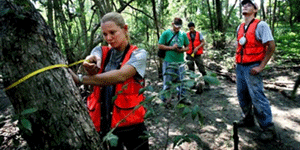 Use mobile technology to inspect and monitor landscape health and care needs on assigned properties. Comprehensive rich media records can include photos, notes, audio, and measurement data. Schedule, and implement the tasks of a field crew. Confirm that results are in compliance with contract specifications, labor and materials budgets, and client expectations. Complete a pre-trip inspection report each day. Perform safety walk inspections on jobsites using built in checklists. Create annual, monthly, weekly or daily service report templates for clients and internal operations. Stay current with all federal, state, local and client regulatory safety requirements. A proactive approach to safety by tracking certifications and permits of crew members. Easily conduct “tailgate” and “PPE” safety meetings. Maintain equipment inventory data including tracking and recording equipment’s locations and usage. Generate equipment preventive maintenance reports. Establish procedures, processes and reports for IPM to prevent potential diseases, pest issues and proper handling of chemicals. 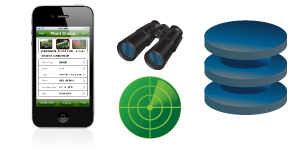 Use geo-location to easily identify and tag plants. 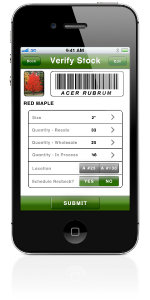 Use barcodes and QR Codes to precisely track inventory. Seamlessly integrates with your existing database.